‘What’s the best age to take children on safari?’ is a question we’re often asked. Realistically the answer is probably six plus, but it’s all down to personal choice. I did my first safari aged six and taking my kids and seeing it all again through their eyes really was the most magical experience. I have family living in Kenya too so this was part safari, part family catch up. 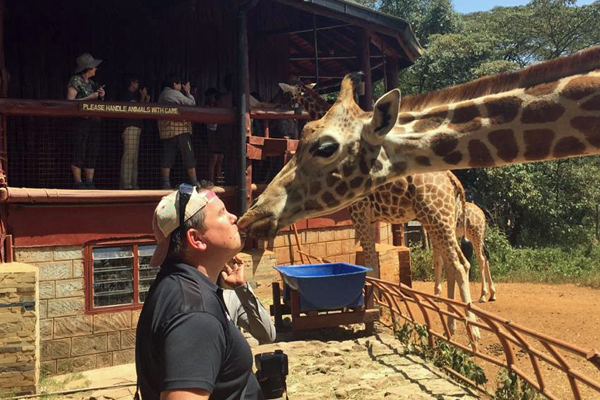 We spent the first few days in Nairobi, which was actually brilliant to catch up and acclimatise. 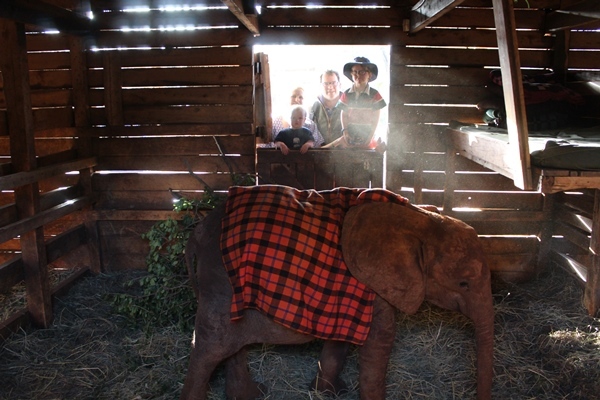 One of the highlights was visiting Dololo, our adopted elephant at the Sheldrick Elephant Orphanage. The kids loved getting so close and Dololo lifting his trunk to us – with a particular fascination for Dudley , who was totally mesmerised – was extraordinary. The baby rhino was just unbelievably sweet, too. It’s a very special little place and hats off to the carers who each sleep at night with their elephant. Next was Nairobi National Park which was a very novel experience. Considering it’s in the middle of the city it’s great. We barely saw another vehicle during our hunt for lion (that we didn’t find) but managed to spot buffalo a-plenty and several rhino. 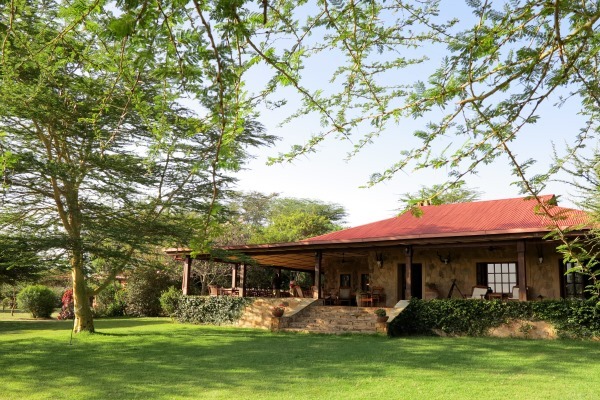 We didn’t stay here but had we done so, Ololo Lodge would have been the ideal spot. It was the perfect introduction to what was to come for my two. Sosian was an absolute highpoint and exceeded all expectations on the wildlife front. I’ve some immensely happy memories of the place and I’m so pleased we returned as we’ve some wonderful new memories with my boys. The lodge itself is as charming as ever. It’s beautifully set up; very welcoming with lots of spacious public areas, interesting books, a grand piano, billiards and card table in the games room. The pool area is absolutely perfect with a canopy for ‘shade bathing’ or loungers for the sun-worshippers. It doesn’t have a grand five star atmosphere, more a wonderfully inclusive, relaxed feel. The staff were great with the children and took it in turns to keep Dudley entertained so we could linger over lunch – taking it in turns to kick a ball or take him paddling in the pool. The tennis court is brilliant, although you do need to play early or late to avoid the heat and glare. There were murmurs about getting flood lights so you can play at night which would be another string to the Sosian bow that makes it so effortlessly charming. 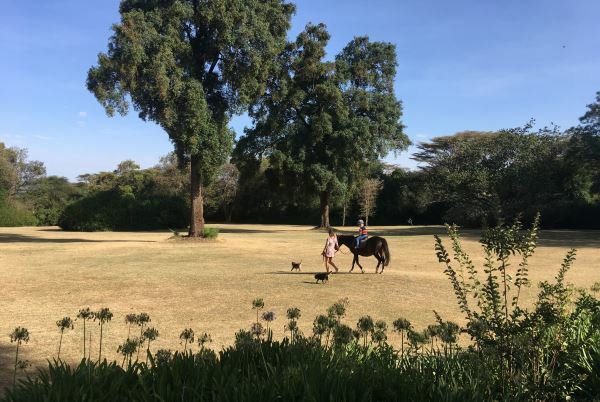 We did a gentle bush walk – with Dudley in the back pack – looking at the birdlife, the trees, plants, the poo, and elephants and giraffe from a distance. Jasper thoroughly enjoyed it and was keen to pocket elephant and giraffe poo as souvenirs. The bush was thriving and on game drives we saw elephant, two different lion prides, two leopard sightings in one evening, reticulated giraffe, Grevy’s zebra, white-tailed mongoose, so many birds and a striped hyena. With the boy’s supper sent out to meet us there was no rush to get back from sundowners. One evening we were greeted by a fully stocked bar and fire pit, the second was spent by the dam where Jasper tried his hand fishing for tilapia. Dudley was happy eating grit and staring at the hippos. It was very, very cool. 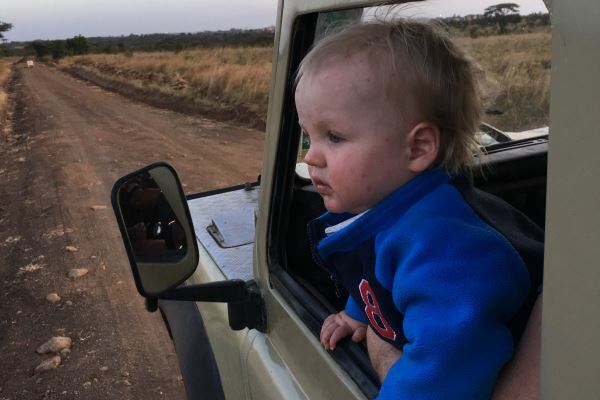 I am fully aware that Dudley won’t remember it, but I will never forget his little face peering out of the window seeing his first rhino in Nairobi National Park. He is a chatty little urchin and he was stunned into silence by this magnificent pair, and that was very special to see. Similarly with the elephant, he was utterly mesmerised by them. Whoever’s lap he was sitting on during the game drives, he really took it all in. Jasper, too, was captivated. He has a keen interest in birds at home and that extended to Africa. He loved identifying them in his bird book and was very particular about the binoculars he’d been given before the trip. The children were fine with the early morning wake-ups, their eyes were wide open and their senses alive with all things Africa. It was worth every single penny watching them soak it all up. I honestly cannot recommend Sosian enough for families and for parents of small children. 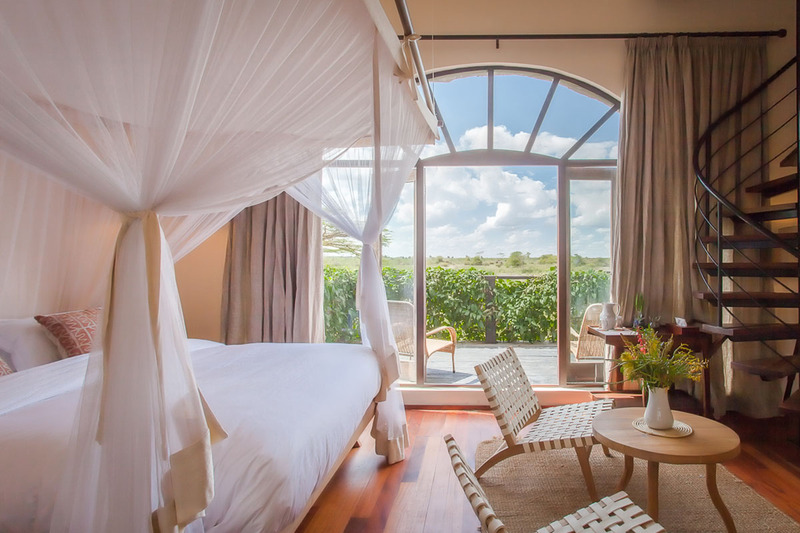 To feel so at ease in the lodge (and on safari) was key in allowing us to relax and absorb the atmosphere, too. It’s an adventure playground for all ages and our error was only staying for two nights this time. We nipped across to Suyian where my cousin is working and wow, what a beautiful spot. 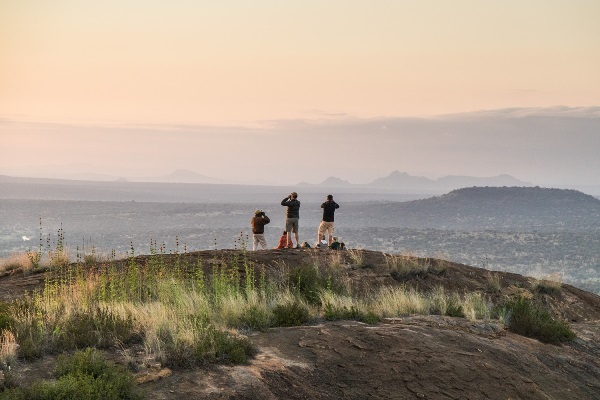 We enjoyed sundowners with expansive views across Laikipia and towards the snow-capped peaks of Mount Kenya in the distance. After Suyian and camping on Lake Naivasha, we arrived at Deloraine. This wonderful colonial house, full of mementos from its rich history is very close to my heart. Hosted by my aunt, Cindy Voorspuy, it offers something a bit different to the traditional safari lodge. We took beautiful morning rides to the mountain, through the forest and gully. The horses are so well schooled and there’s a jumping field and polo ground for keen riders. There are interesting bird walks around the estate, a large croquet lawn, there is swimming, tennis, games tables for a rainy day or after-dinner retreats, fine dining and day trips to the lakes. Wherever you go, a cooler box and mini bar follow and the hosting, again, is attentive, but not invasive. So, all in all, a most exceptional holiday. It is never too early to take your kids on safari, provided you chose the right place, and we most certainly did with Sosian. Two weeks was perfect, it was enough time for the children to really appreciate the adventures they had been on and at the end Jasper couldn’t wait to share his experiences with family and friends at home. 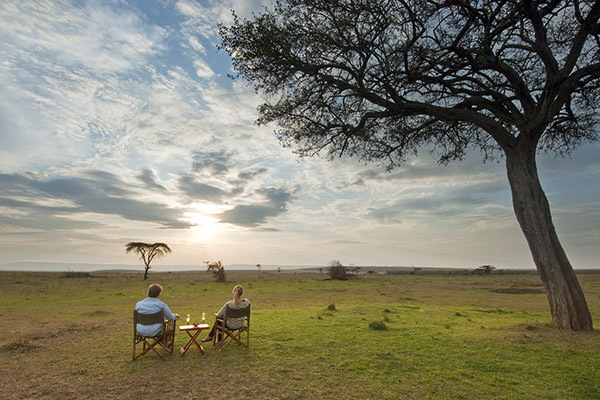 Next time we go we will have to do the coast and hopefully the Masai Mara too, but spend a few more days at Sosian. What a great article Roxy. Perfect! Very well written and has definitely given us some inspiration to take our five year old son Felix on the exact same trip. Very well written Roxy ! 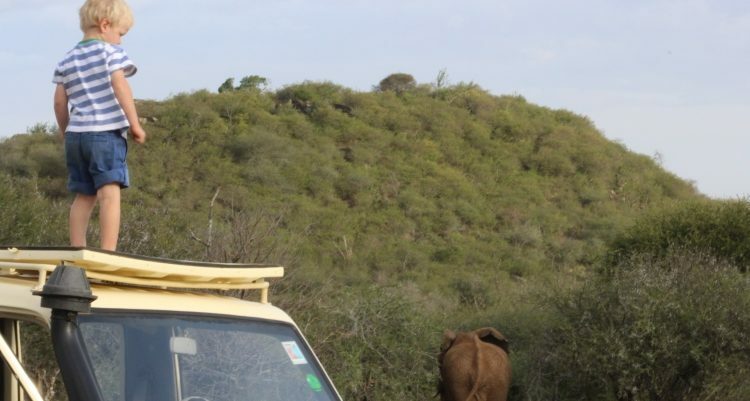 I didn’t go on my first safari until I was 14 but absolutely loved it and Africa was etched into me ! I think I managed five Aardvark riding holidays and a honeymoon. I also stayed at, and loved, Sosian. My little boy was 5 on 19 March. Hoping to do the 2020 Tokyo Olympics then I feel Africa calling in 2021!!!! I’ll ask one of the team to reply by email with the best times of year and the costs. Thanks for your kind comment. I’ll ask one of the team to reply by email to your questions. 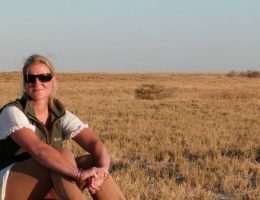 Roxy Cox, a safari expert with Aardvark Safaris, has many years of experience travelling in Africa, running safari camps, and planning numerous holidays. Roxy is keen on snorkelling, tennis, hilltop walks and anywhere with fantastic photographic opportunities. With both her parents born in Africa, Roxy certainly has Africa in her blood. She went on her first safari at the tender age of six, and frequent visits throughout her childhood have kept the African connection strong. Her gap year between school and university saw her backpacking around South Africa, Australia, Bali, Singapore, Malaysia and Thailand. Following a clearly exhausting three years at the University of Newcastle, a second gap year was much needed and she went off to Kenya to work at Offbeat Mara Camp, Offbeat Meru Camp and Sosian Ranch, part of the Offbeat Safaris circuit, and finished the safari stint by teaching tennis in a prep school in the rift valley. 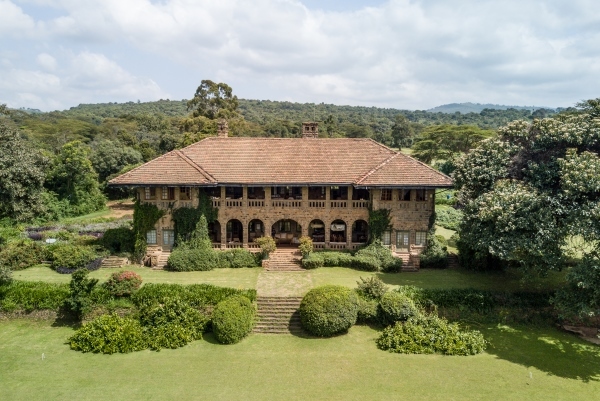 It was these experiences, and hosting guests on safari, that led her to becoming an African tour operator, desperate to send people to the camps and lodges she had loved, and for guests to have an exquisite African experience too. 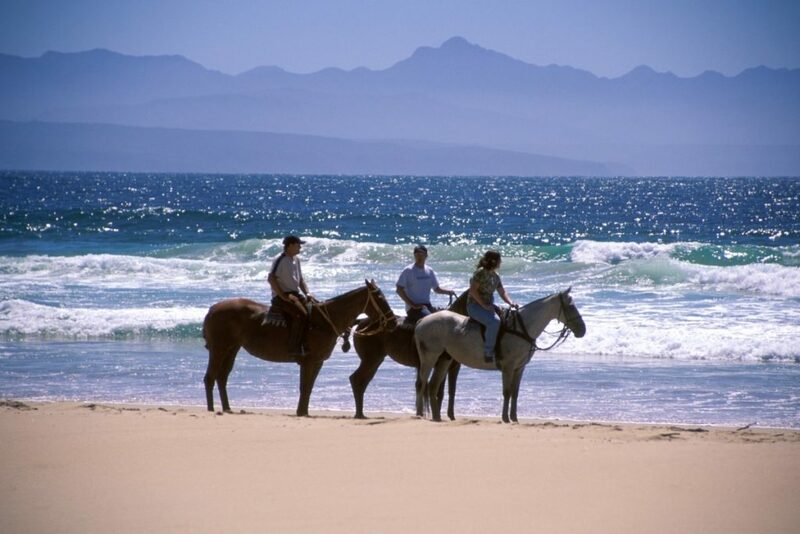 With relatives in Kenya and her second home being a family house Plettenberg Bay in South Africa, Roxy not only travels for work but for holiday too. Her son made his first trip to South Africa at just five months old, and she is of the firm mind set of ‘have children – must travel’. Watching him meet his first elephant was a true wonder, and she hopes as he grows older he will share the same love for these majestic and wondrous creatures as she does. 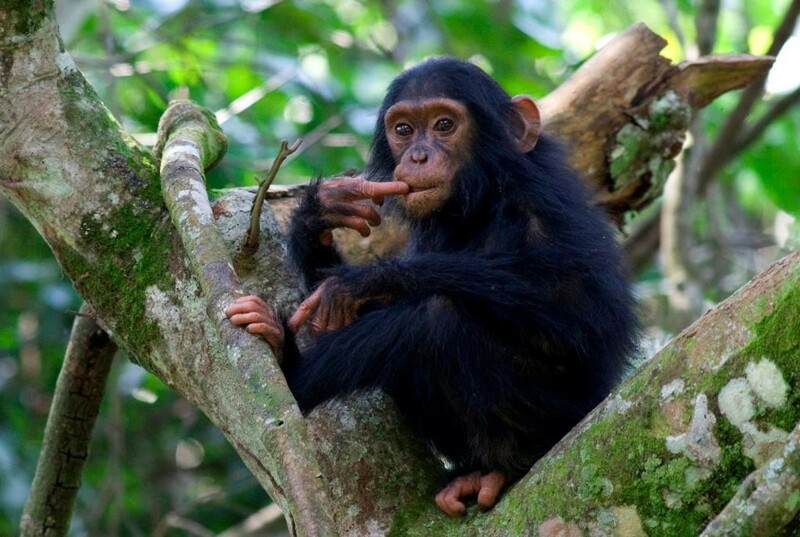 It is tough to pinpoint a favourite experience, so here are a few that are top of my list… Chimp trekking in the Mahale Mountains in Tanzania, a walking safari in the South Luangwa in Zambia, a fly-in safari with Skeleton Coast Safaris in Namibia, a sleep out under the stars in the Makagadikgadi salt pans in Botswana, gorilla tracking through Bwindi Impenetrable Forest in Uganda and sundowners anywhere with a view. The African elephant. No question. 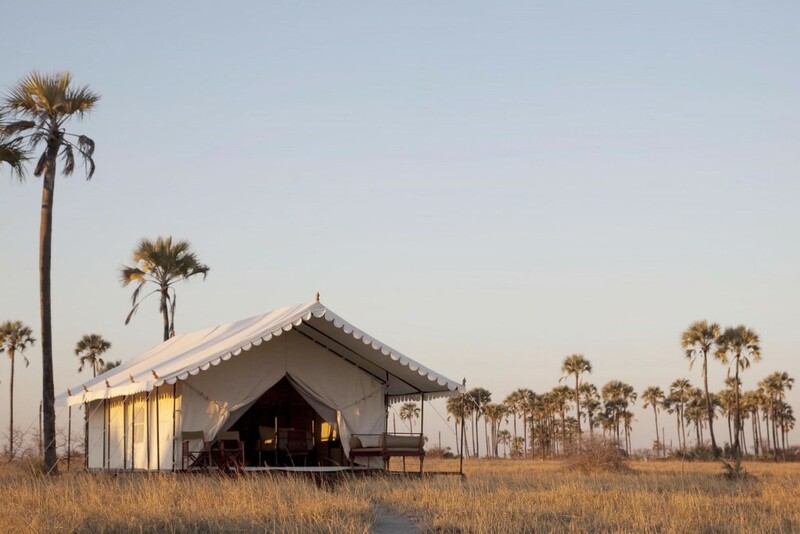 San Camp, Makagadikgadi pans, Botswana –Take a quad bike across the plains into the sunset, sleep beneath the stars, get up close to the habituated meerkats, walk back in time with the bushmen and drive for miles looking for elusive brown hyena before retiring to a beautiful tented camp, enriched with unique artefacts and in the middle of nowhere, literally. 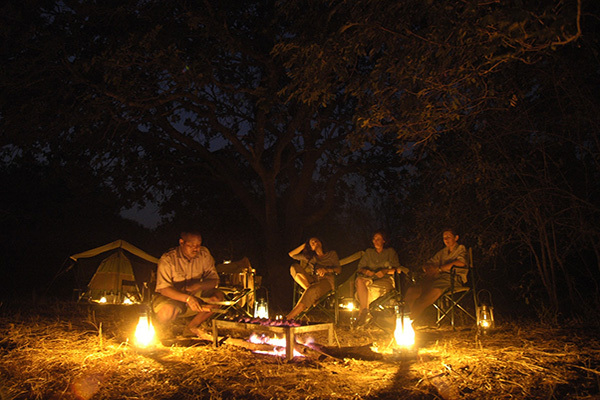 Luangwa Bush Camping, South Luangwa, Zambia - An incredible operation for a walking, simple yet comfortable tents with your very own bush kitchen and bar, and true feeling of being in the wild. Botswana, Ethiopia, Kenya, Malawi, Mozambique, Namibia, South Africa, Tanzania, Uganda, Zambia, and Zanzibar. We really do arrange trips of a lifetime, so it goes without saying that hearing guests’ feedback that their holiday not only met, but exceeded expectations, is always one of the thrills of the job. 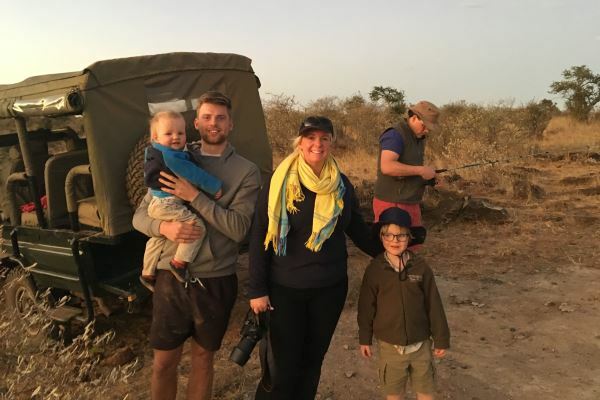 I’m lucky enough to have explored the continent of Africa extensively, and have travelled wearing many different hats; as a single traveller, honeymooner, mother, and as part of a big family group. Half the fun is getting to know my clients. Asking questions and listening to their experiences before applying my own knowledge is all part of the process of putting together their trip of a lifetime. We are always looking for ways to go above and beyond expectations to make our safari holidays extra special.